This is old town Boone. King Street. 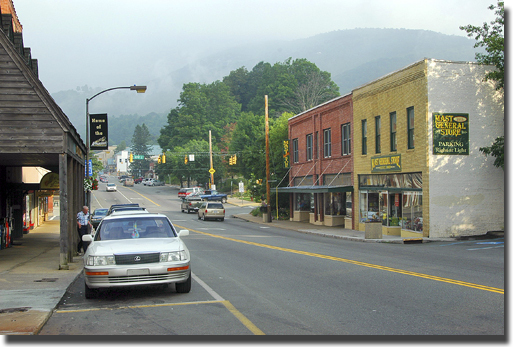 On the right is the Mast General Store and on the left is the Boone Drug Store. Our post office is hidden in that clump of trees beyond Mast. The clouds are trying to lift above Rich Mtn in the background. Random fact about me: I am eating gorp for breakfast.